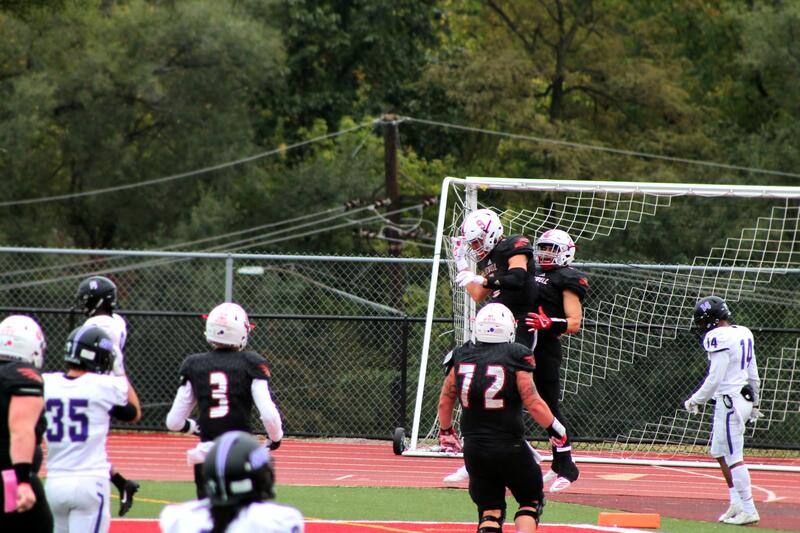 As the week draws to a close the William Jewell College Cardinals braved wind and rain to take on Southwest Baptist University in the Oct. 6 Homecoming Football game, resulting in Jewell’s first win of the season. The final score was 14-10 with Bulla Graft, junior business administration major, scoring a touchdown in the second quarter and Will Schneider, sophomore undeclared major, scoring another in the fourth. The game kicked off at 1 p.m. Saturday after a series of events on campus organized by the Alumni Board of Governors. Several Jewell students, alumni and families of the players attended the game in Greene Stadium and the audience exceeded the number expected for a typical Cardinal game. Bulla Graft scored the first points of the match with a touchdown in the second quarter. Mackenna Kemp, junior nursing major, remarked that the game was great from every aspect. Colton Johnson, offensive lineman and sophomore accounting, business administration and Applied Critical Thought and Inquiry major, commented that the win was well deserved. “It was nice to go-get instead of get-got,” said Johnson. 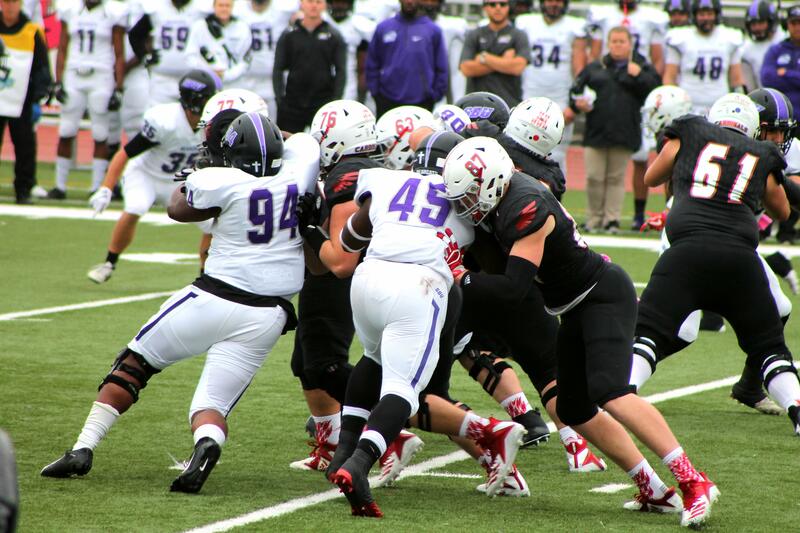 Jewell Cards go-get at Homecoming game. During halftime fans were treated to performances from the Jewell Drumline and the Crimson Dancers. 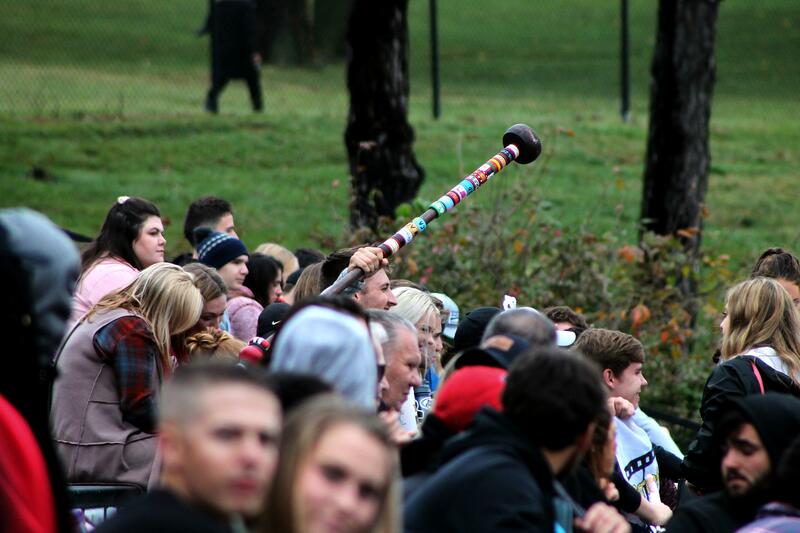 It was also revealed that Zeta Tau Alpha and Lambda Chi Alpha (LCA) were the winners of this year’s spirit stick. President of LCA, Conner Foote, senior international relations and political science major, said that winning the spirit stick was very meaningful. LCA brothers enthusiastically wave spirit stick above crowd. This sentiment was echoed by drumline leader and LCA brother Chris Seward, junior biochemistry major.